Now, I am not normally one that enjoys sweet desserts. Really sweet desserts are just are just not my thing. 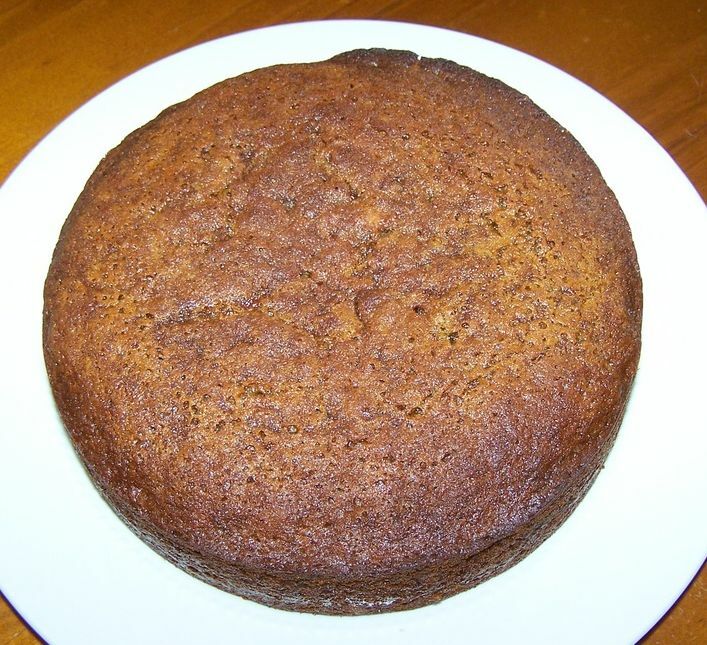 But there is something about a sticky date pudding that I just love. Even though it is far sweeter than other desserts I make, I enjoy this one. 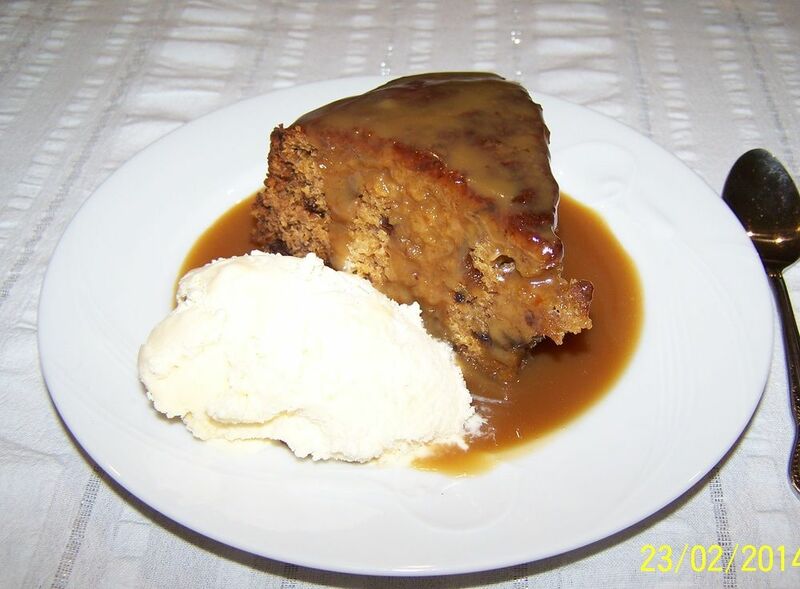 I love the soft rich pudding with the chopped dates inside, I love the warm sweet caramel sauce. I love it served warm with vanilla ice cream, I love it at room temperature with a hot sauce poured on top with vanilla ice cream. It is simply a pudding I love, even though it is far richer than any other dessert I make. If you like caramel, if you love a soft moist cake, if you love both with vanilla ice cream, give this a go, it really is something I love every now and then. Supposedly it freezes really well, to date, it has never made it to my freezer. Preheat the oven to 180C/160C fan forced. Grease and line with baking paper an 18cm round cake pan. In a medium sized heatproof bowl, add the chopped dates and bicarbonate of soda. Pour over the boiling water, stir, leave for 30 minutes to cool. In a large mixing bowl, cream the butter and sugar until pale in colour. Add the eggs, one at a time, beating after each addition until smooth. Fold in the flour using a metal spoon. Once cooled stir in the dates with all of the liquid, mix to combine. Pour the mixture into your prepared pan, bake for 40-45 minutes or until cooked through. Leave the pudding in the tin for 5 minutes before turning out. Caramel Sauce: combine all the ingredients in a medium sized saucepan over low heat, stir, until the butter has melted. Simmer for 5 minutes. 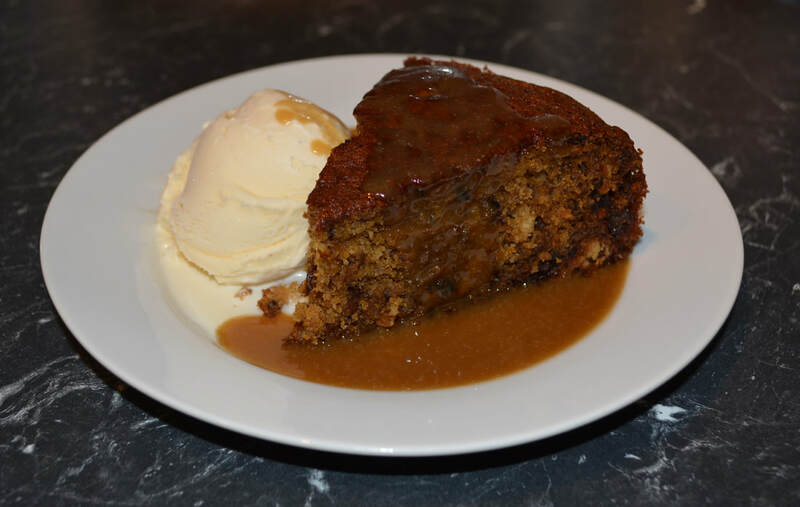 ​Slice the pudding into wedges, add a scoop of ice cream and pour over the warm caramel sauce.